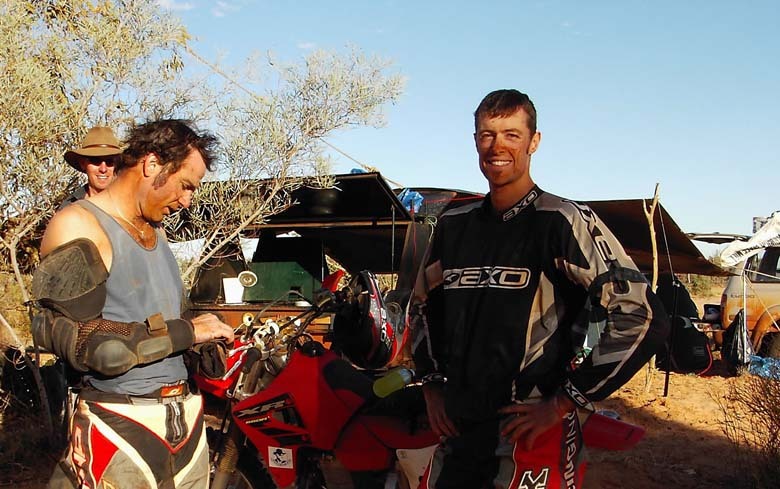 The Tattersall’s Finke Desert Race is an off road, multi terrain two-day race through desert country from Alice Springs to the small Aputula (Finke) Community. The race crosses the Finke River, believed to be the oldest river in the world. The 460 kilometre return trip race is held each year on the Queen’s Birthday long weekend (second weekend in June). The images on this page cover both the 2003 and 2004 races. In 2004, three Uluru Kata Tjuta National Park rangers (Sam Steel, Andrew Longmire and James Clayton)entered the Finke Desert Race. 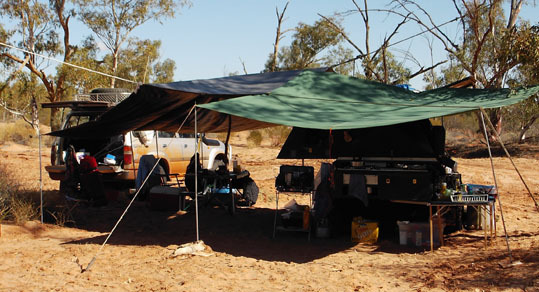 As part of the support team we set up camp on the northern edge of the Finke River. “Finke” as it is known, is now one of the biggest annual sporting events in the Northern Territory. It is recognised as the richest Off Road Race in the Southern Hemisphere with the added reputation of being one of the most difficult courses in one of the most remote places in the world. Finke is a unique event in that it enables people of all walks of life to become involved. Rarely would you find an event that has over 400 competitors racing over a 460km course that is open to all comers, it really is the most fun you can have with a helmet on! 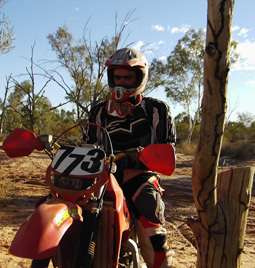 The race started in 1976 as a ‘there and back’ challenge for a group of local motorbike riders to race from Alice Springs to the Finke River and return. 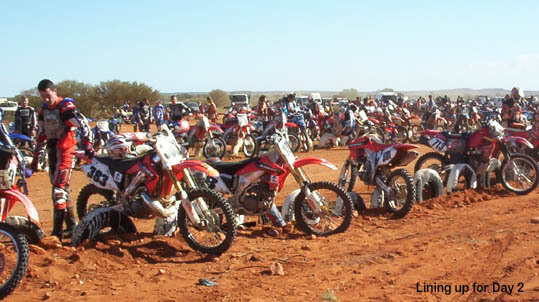 After the success of this initial ride, the Finke Desert Race was born and it has been held annually on the Queen’s Birthday long weekend ever since. 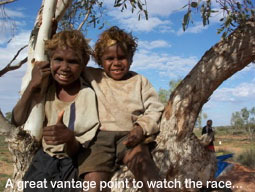 The race is run along sections of what was the Old Ghan Railway service track adjacent to the railway line along a winding corrugated track, which snakes through typical outback terrain of red dirt, sand, spinifex, mulga and desert oaks. Even though the railway was realigned and rebuilt in the early 80’s, with the old tracks being pulled up, the race continues along its original course. Finke Race KidsWhilst originally the Finke was only a bike race, its increasing popularity saw the inevitable introduction of cars and off road buggies in 1988. A fierce rivalry developed between the two and four wheelers, as the buggies were keen to claim the holy grail of the race – outright winner or ‘King of the Desert’ as it is respectfully known. For 11 consecutive years the bikes were too quick for the cars despite the gap constantly narrowing. Finally in 1999, a buggy returned home first to claim the honour. With the bikes winning back the title in 2000 and 2001. From 2002 until 2004 the buggies held onto the ‘King of the Desert’ title. In 2005 the title was changed to see two ‘Kings of the Desert’, one for the cars and one for bikes, each picking up $10,000 for their effort. Although the bikes and cars no longer race against each other for the title, it is always interesting to see who completes the 460km round trip quickest. 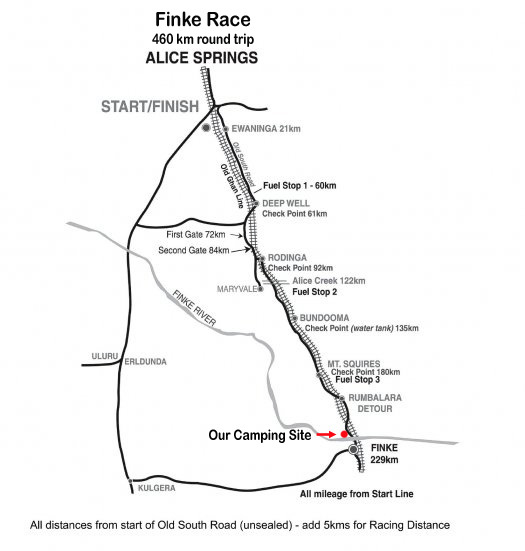 The people and local businesses of Alice Springs are proud to have ownership of the Finke Desert Race. The June long weekend and the Finke have become an institution with outstanding community support. For three days, it is estimated that more than 12,000 people camp beside the racetrack, sleeping under the stars in their tents and swags.